The Easter Island is a Polynesian island in the sutheast in the Pacific Ocean. It was annexed by Chile in 1888 and is a special territory of the country. 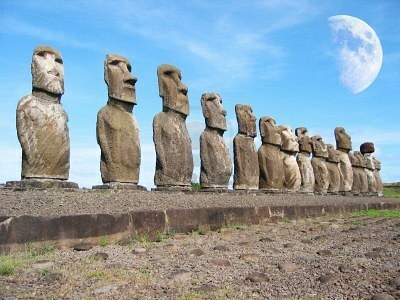 The island is widely famous for it's 887 monumental statues, named moai. They were built by the early Rapanui people, and are protected within the Rapa Nui National Park today. The island has a rich history. At the peak it is supposed to have had about 15.000 inhabitants. Since the peak the population has decresed dramatically and the Rapanui is almost an instinct people. Some scientist blame this on overexploitation of the natural resources. Others suggest European diseases or slave raids or a combination of these. Archeologists have found that the island used to have rich forests, including a varied fauna. The island is added to the UNESCO World Heritage List. 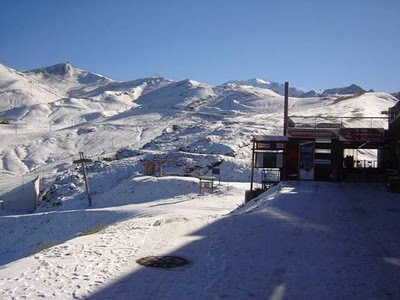 Valle Nevado is a ski resort that was opened in 1988. It is located only about an hour drive from Santiago. It is constantly upgraded and is considered South America's most modern ski resort. It has more then 800 hectars of skiable area. Even though it is very popular, there is still plenty of space for everyone. The ski season is from late June til October. It is possible to ski down from the mountain and take a trip to the beach for some surfing.